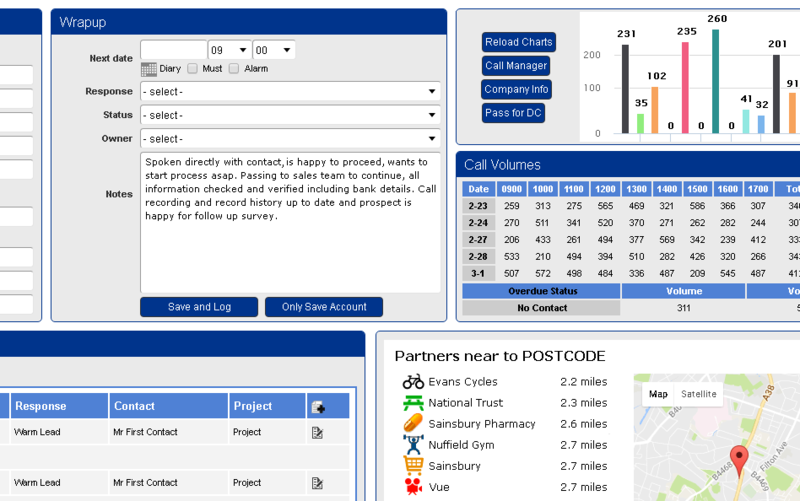 Allowing you to see the numbers you need, track performance and set targets the way you want. CallPro CRM allows you to gain a 360-degree view of your account details, which enables you to track every interaction, from calls made and emails sent to website visits and social media activity. Track everything, including the final steps to closing that deal. As well 999 databases, our solution gives you the ability to have over 300 additional data fields, making sure all your communication and data is stored effectively. Agents are able to quickly switch between accounts having their alterations saved automatically, allowing others to instantly view their adjustments. As our software is fully customisable each of your agents has the ability to customise their interface around themselves, creating a solution that increases their output. 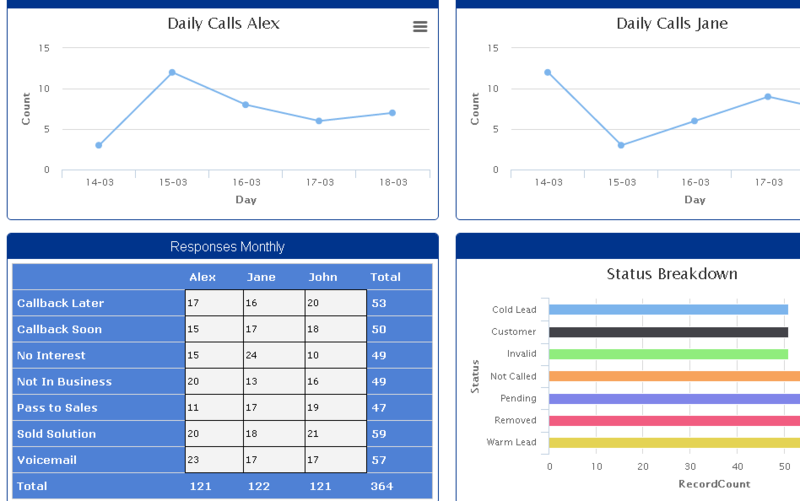 As long as the data is sorted within the CRM we have the ability to report on it, allowing you to present it however you need, whether it be on a dashboard on the wall or a daily report sent to you automatically every night after the day has finished. The system creates a selection of predefined reports for you, however due to its customization you can create any report possible. With the automation function you can have them scheduled and sent to who needs to receive them, when they need them. Our solution also helps you monitor the performance of your agents. You can track anything from how many sales they made last week, to their exact duration while on calls.